Kirby may look soft and cuddly, but don’t let that fool you: he’s a force to be reckoned with. His skill set is deceptively strong and allows him to perform excellently when fully utilized. Kirby’s smash attacks are among the best in the game and are surprisingly powerful coming from a pink, pudgy puffball. His recovery is absolutely stellar – in addition to being able to double jump five times, Kirby can also use his up special to further aid his successful return. His jab and tilts are fast, strong, and effective, allowing him to quickly and reliably rack up damage on his opponents. 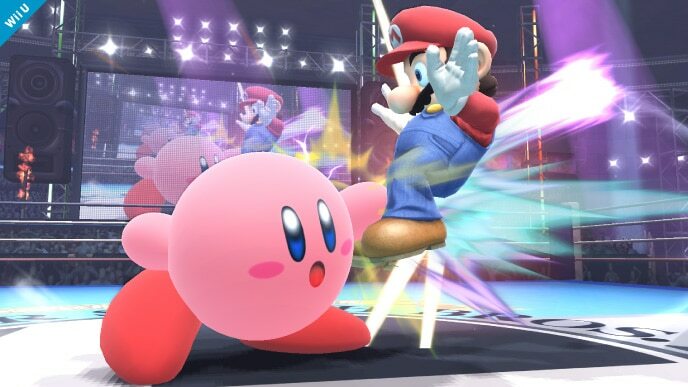 Unfortunately, Kirby is not without his flaws: he’s one of the lightest characters in Super Smash Bros., meaning his in-game durability is below average. His range is also one fist short (literally), and he often has trouble successfully landing his melee attacks. Kirby’s biggest flaw, however, is his appetite: he overuses his neutral special, Inhale. If left unchecked, he will eventually use nothing but Inhale. Furthermore, he uses many of his copy abilities incorrectly and at inappropriate times; for example, he cannot learn to charge moves like Ness’ PK Flash or Donkey Kong’s Giant Punch. These traits limit his potential, as he’d rather inhale opponents and spam their neutral specials than actually put up a decent fight. Luckily, Kirby’s most significant flaw can be curbed with the help of custom moves. This means that, in spite of his shortcomings, he still has potential. If you can look past Kirby’s insatiable appetite, you’ll have a powerful tournament contender on your hands in no time. Jumping Inhale: This is a custom move version of Kirby’s neutral special. 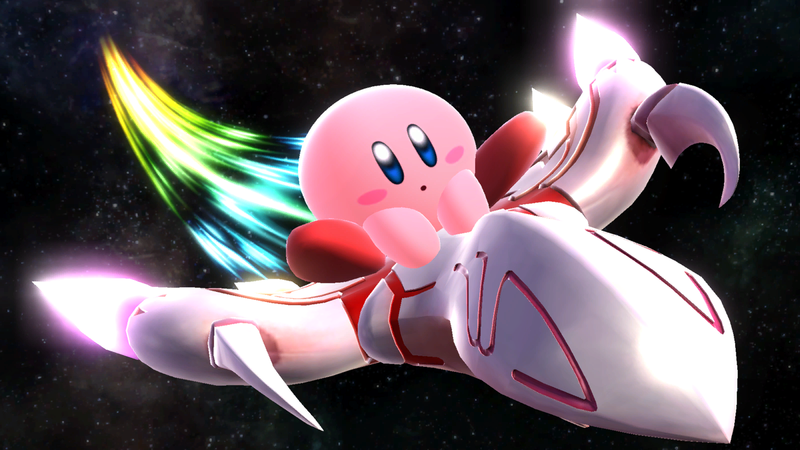 Hence its name, it allows Kirby to jump forward before inhaling the opponent, and it also deals more damage. Jumping Inhale is 100% necessary on Kirby, as it helps him to curb his habit of overusing Inhale. Giant Hammer: This is a custom move version of Kirby’s side special. It isn’t essential to Kirby’s success, but is a stronger side special that grants super armor. If you give your Kirby amiibo Giant Hammer, he will punish shield breaks with a fully charged Giant Hammer instead of a fully charged forward smash. Upper Cutter: This is a custom move version of Kirby’s up special. It’s a direct upgrade that allows him to meet his full recovery potential. In addition to five double jumps, he’ll be able to use Upper Cutter to help him recover. Neutral options: jab, forward tilt, and down tilt. 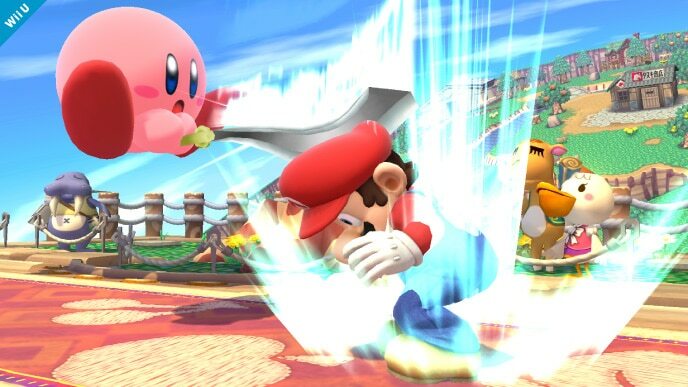 Kirby’s jab, Smash Punch, is a fast multi-strike attack that can help rack up damage at early percentages. It lacks range but can apply pressure to shields. His forward tilt is quick and can be angled, while down tilt trips opponents and can link into a forward smash. Main KO moves: forward smash, up smash, and down smash. Kirby has an excellent set of smash attacks. His forward smash can be angled and deals increased damage when aimed upwards, and has the longest reach of any of Kirby’s attacks. Even so, your two primary kill moves should be up smash and down smash, as they are boosted by the Improved launch ability bonus effect (whereas forward smash is not – even when angled upwards). Up smash can be used out of shield and as an aerial punish, while down smash covers both sides of Kirby and can catch opponents off-guard. Moves to avoid: neutral special. A well-trained Kirby amiibo will never use Inhale or any of its custom move versions. Once you apply the Jumping Inhale custom move to your amiibo, do not use it during battle.